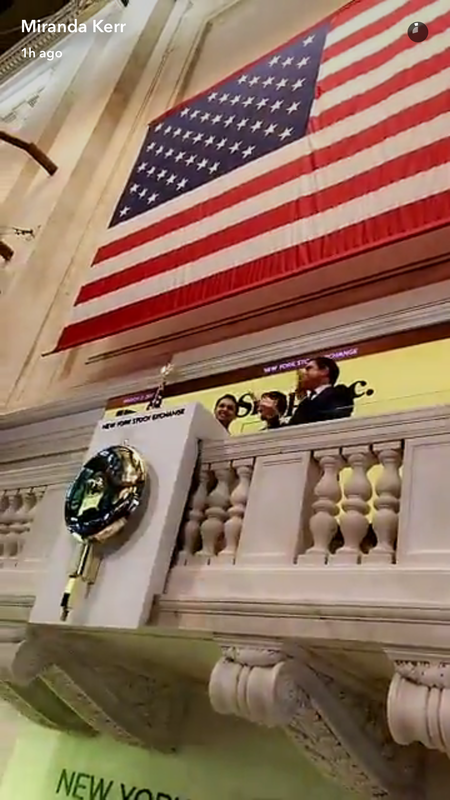 Snapchat's parent company, Snap Inc, began trading on the New York Stock Exchange Thursday, with traders giving the company a $33 billion valuation. 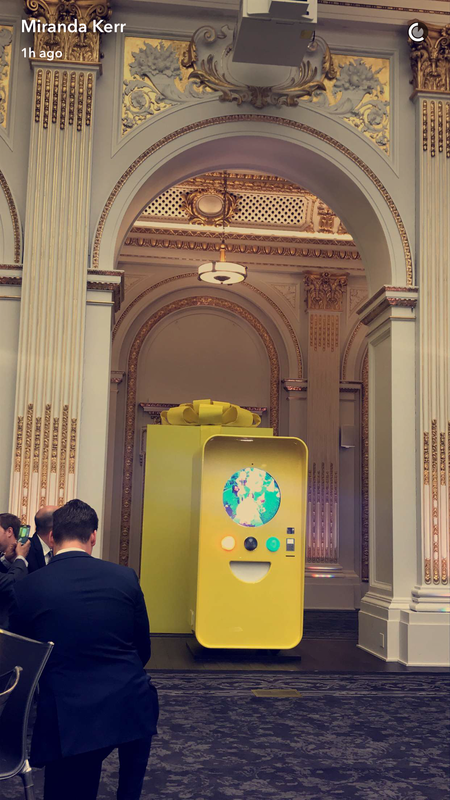 Evan Spiegel, Snap's co-founder and CEO, has helped make Snapchat a giant among The Kids. About 60% of American Snapchat users are under 24, according to some estimates. But no one covered Snap's IPO as hard as Miranda Kerr, Spiegel's supermodel fiancée and avid Snapchat user. Evan Spiegel, minutes before his net wealth increased by more than a billion dollars. People on the trading floor couldn't help but notice her snapping. Here she is, getting ready to nail the perfect Snap. Kerr's Snapchat story started out in a dressing room looking super dreamy with the butterfly filter. 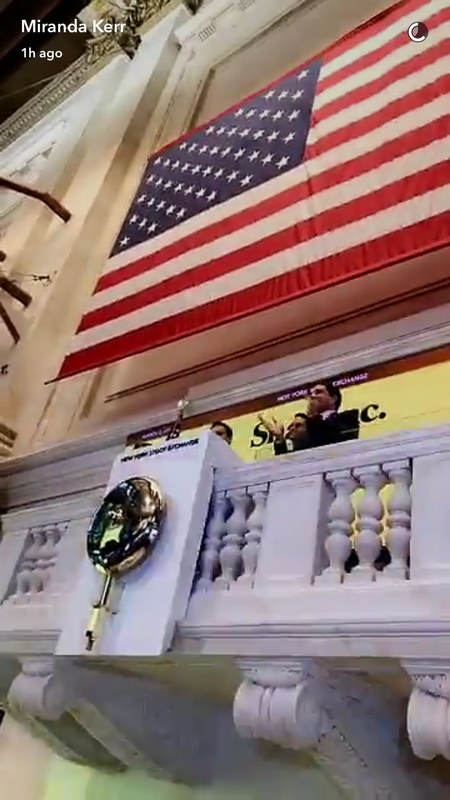 Then she took some snaps from the floor of the NYSE. 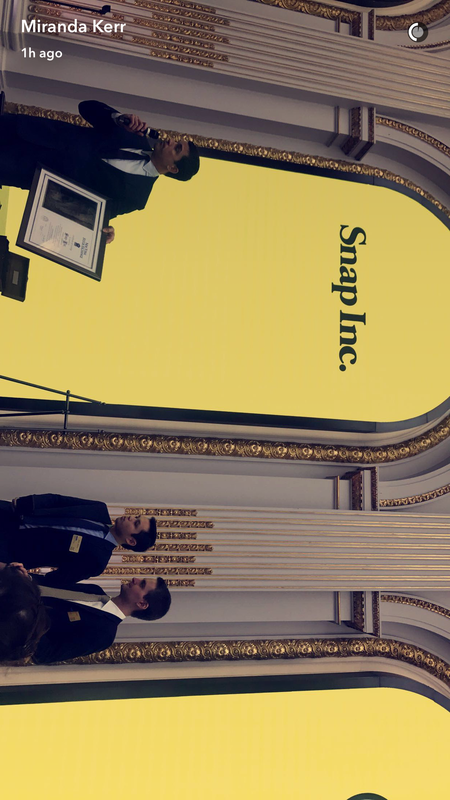 Here she is snapping in front of a news story about Snap's IPO adorned in the purple flower filter like the glowing fiancee of an internet billionaire. 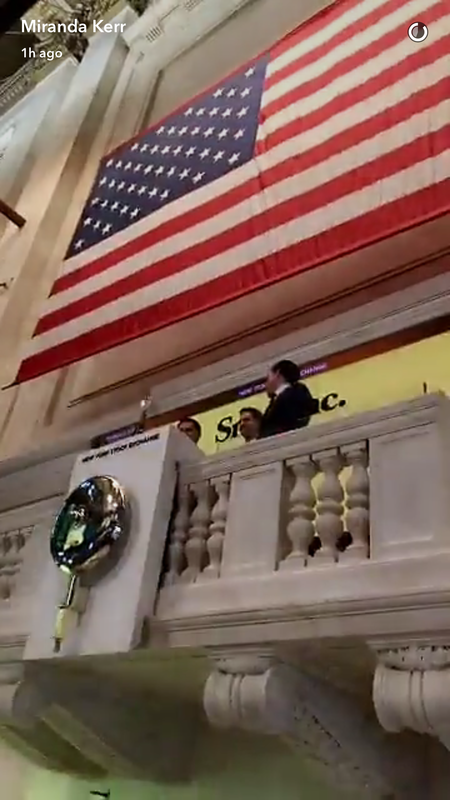 Kerr was all about capturing that special moment when her boo rang the bell, kicking off a trading frenzy that added more than $10 billion to the company's market value in the opening minutes. It was a good morning for the Kerr-Spiegel team. Evan Spiegel got a whole lot richer as trading began, and his stake in Snap Inc rose in value by more than $1.5 billion. In total, Spiegel now owns more than $5 billion of stock in the company. Congratulations, Snap. Oh, and congratulations, Miranda Kerr.